I have just been reading this article on Kotaku about ‘The Making of a Video Game Fanboy’ and I was thinking what am I… A Fanboy or just a gamer and what is the difference? The article talks a lot about the obsessive fans of consoles and how they are developed. I can see why they exist and how they have come about. For instance I grew up on a PC using DOS 6 and Window 3.1. I understand the PC and windows operating system. I don’t always like it (for instance I use Firefox as my browser) but I have a wealth of knowledge and experience in Windows to be able to ‘nut’ out issues and problems and be able to find answers or do the stuff I want to. I see the consoles as a similar thing it’s what you are use to or what you have used the most. 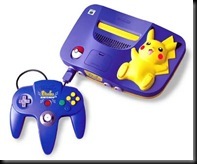 I didn’t have a console growing up. Friends had Commodore 64’s, Nintendo’s (in various forms – I have acquired a Nintendo 64 in recent years), Atari 2600 (which I have now as a 2nd hand model with a few games), and Playstation etc. However I did have a PC and used that for gaming from my early teens. 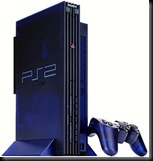 Then the PS2 came out. I was working in a good paying job, single and fancy free. And my mate Darren was buying one on launch day! I took the morning off to buy my PS2 and all the accessories (extra controller, memory card and Gran Turismo 3) it totalled … well close to $700 (AUD) and I was excited – very excited to finally be at the cutting edge of console gaming. Then while working at a electronics’ store I managed to get a Nintendo 64 and an Xbox at a reasonable price – both where returns to the store, classed as faulty – which after I tested them proved to be incorrect and probably just returned so that the customer could get there money back. So I then had all the current consoles that where out and about. So I went from a one console man to an multi-console almost over night. I had a massive amount of games to catch up on and almost no time to do it!!! I really enjoyed the Xbox and the ‘different’ sort of games it had to the PS2 and the Nintendo 64 was fun and almost retro in nature. Which is probably why I then bought the Wii when it came out – it promised fun and multi-player games, a different controller system and was soooo much cheaper then the Xbox 360 and soon to be release PS3. 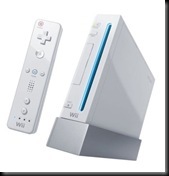 I loved playing the Wii and got quite a few retro games via Virtual Console, it was and still is a great party console although I did/do love Mario Galaxy as a solo game and of course Zelda in it’s many forms. Then came the crunch. I needed to step up and choose out of the big two PS3 or Xbox 360. As I said I had history and ties to the PS2 and PS franchise I loved the times spent playing many games, loved the social fun of Singstar and the car racing (and tuning) in the Gran Turismo series. 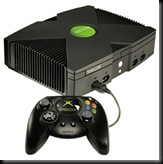 Yet what pushed me over the edge what made me choose to buy a Xbox 360 was not nostalgia (yes I had an Xbox but it still was played less then the PS2) instead I looked at my friends – the people I game with and associate with in gaming term. They all had one common tread – the Xbox 360. So whilst I see the point of view of the article above and I can agree with it in many ways. If things where different I would probably own a PS3 – no doubt – but only because I could afford one I had to choose for reasons other then fanboy feelings. 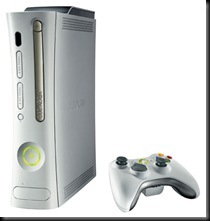 In the end I used my reason for gaming – social fun interaction – to choose the Xbox 360 as my number one console.